Urban Geological Map is a geoinformation system, which can display the distribution of geological strata in urban areas on 2D and 3D geological maps and cross sections drawn from a 3D model. It also provides borehole data as fundamental information for the 3D modeling. In recent years, the general public has expressed growing concern over geological conditions in urban areas, especially as related to possible occurrences of large earthquakes. To improve the public’s understanding of geological conditions in urban areas, AIST is in the process of developing 3D geological maps that clearly display the distribution of geological strata, based on borehole logs and other geological and geomorphological data. 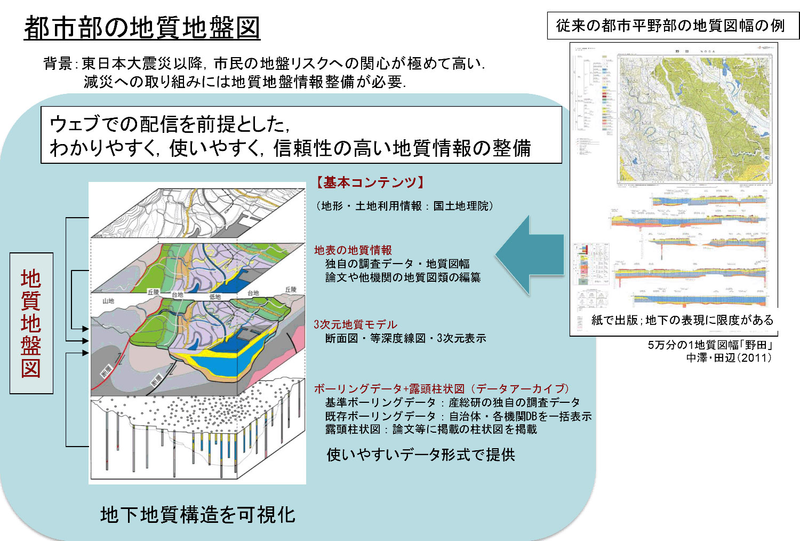 This new style of geological map is developed in a testing area in northern Chiba Prefecture. 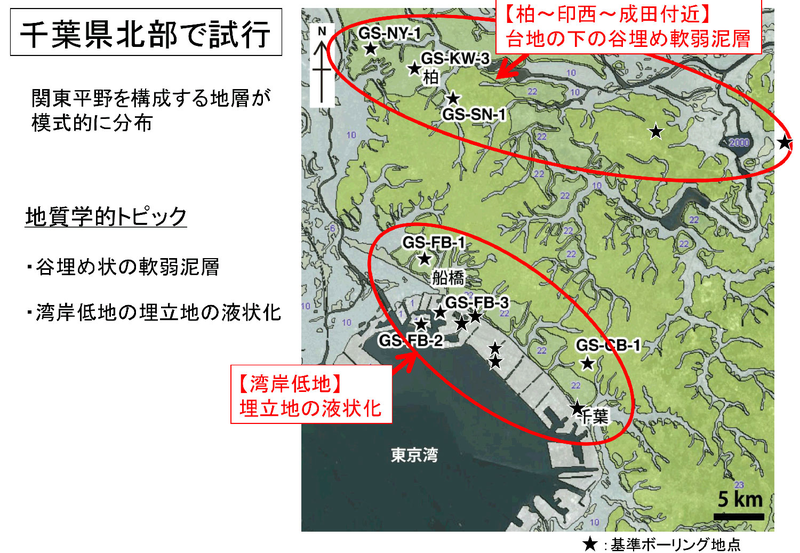 In this region, soft muddy sediments (marine deposits) tend to amplify earthquake waves, and sandy infill used to reclaim land along the shoreline is highly susceptible to soil liquefaction. The 3D geological maps are designed to display the subsurface distribution of such sediment layers, and thus help mitigate the impact of large earthquakes by guiding residential and commercial development. Data on surficial geomorphology and subsurface geological structures are necessary to accurately display geological information in three dimensions. 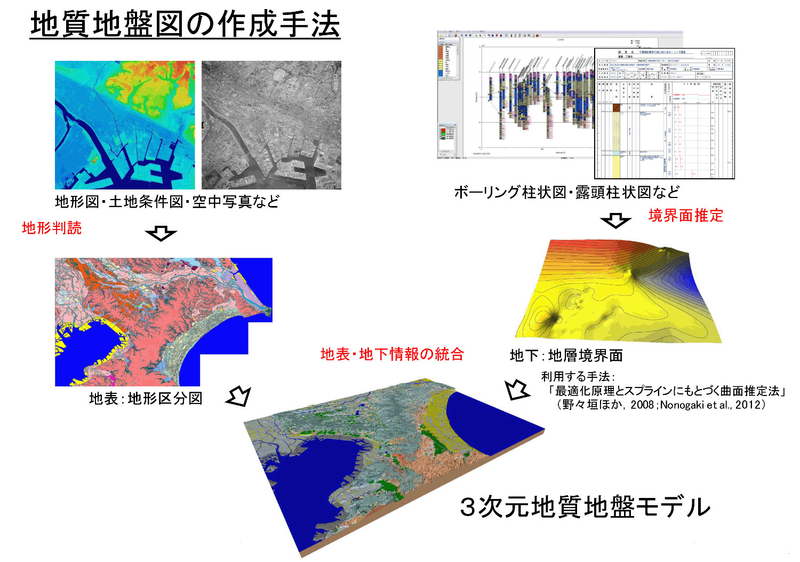 The ground surface data are derived from geomorphological classifications based on topographic maps and aerial photographs. The subsurface structures are estimated by a 3D model that is constructed on the basis of borehole datasets including information on unit boundaries. 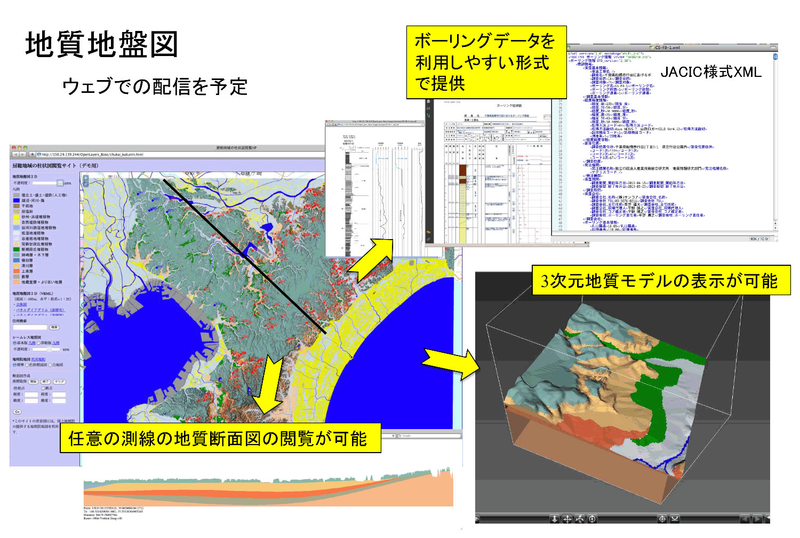 The 3D geological map is then developed by integrating the geomorphological and geological data. We are currently developing a web-based application that outputs the geological data in a form accessible to the public. The application will display geological maps (2D and 3D), geological cross-sections, and subsurface borehole data in an easily utilizable format. The geoinformation will be continuously updated as new data become available.